The May edition of the Doctor Who mystery box turned up and appeared to be the more expensive version with signed items and a hoody instead of a t shirt. I’m not complaining. Continuing the series of Star Trek figures from Modiphius I have painted Mr Spock from The Original Series and Commander William Riker from The Next Generation. These are a great set of figures. 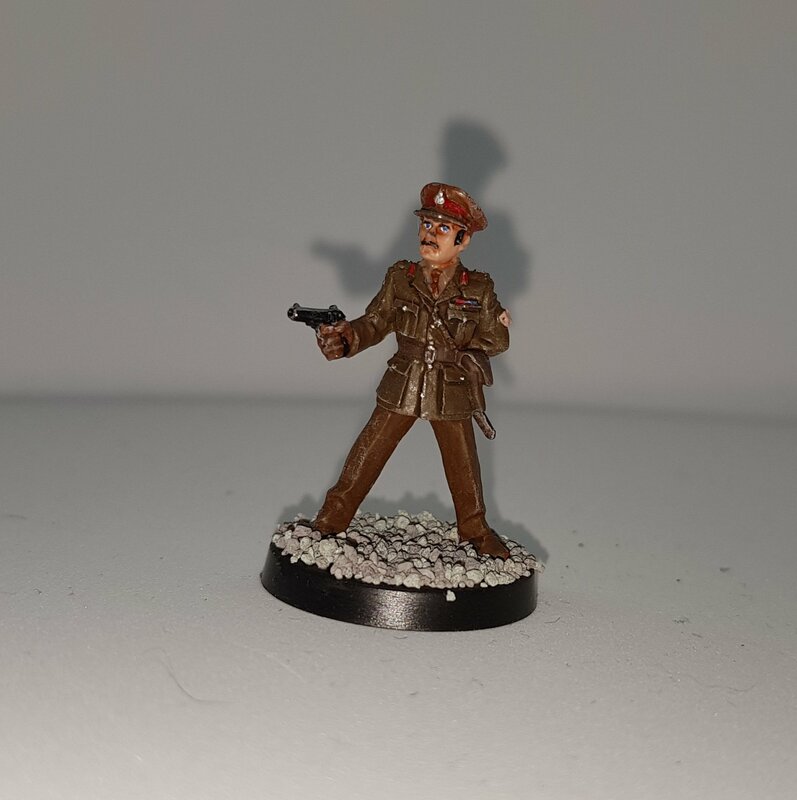 A nice simple paint job of mainly browns on this Crooked Dice Army figure who looks suspiciously like the Brigadier from Doctor Who. A dead ringer for the UNIT leader. Been painting up a 3D print kit I got on Ebay for a fiver. An ST:D phaser. It was a really nice print and took minimal clean up.